THE BEGINNING ARCHIVES | 2012 & Beyond – Jessica N. Abraham | Designer. Writer. Publicist. Educational App encourages “Social” with contests in promoting Math to our youth! Whether your child attends a public school or is being homeschooled by you, there is no denying that educational yet interactive learning materials are top priority in giving your child the skills they need to succeed in the real world. The younger the children are, the more we seek to excite their core with educational games directed towards their age group. One company is working to supply this demand in a host of games under release that encourages innovation and the elements of Mathematical function. In 2013, Sproglit tested the waters with the launch and release of their first educational math game. This game was launched as a Beta iPad App and found its way into a number of schools in California, Utah and New York. This game was dubbed “Kyle Counts” and has found success through Beta users. The matrix that Kyle Counts was built on is being called “Math Arrow” and is now announcing a contest encouraging teachers and parents, who homeschool their children, to enter for a chance to win $1,000. Runners up will win prizes provided by Sproglit in gratitude for their participation. The contest is fairly easy to execute. Sproglit asks that the educator sends a lesson plan, story or video showing how they have incorporated the Math Arrow program into their classrooms and are finding success by “boosting number sense, addition and counting skills amongst their students.” Sproglit has created a contest page on their corporate site with instructions and entry forms available to these participants. 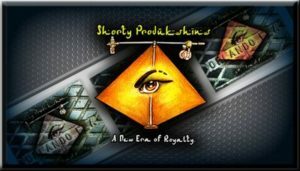 Because this game is catching on with children and educators around the United States, it is imperative that this company finds itself a larger presence, Online, in competing for the Mobile App and Tablet markets, Some people are very particular when it comes to educating the youth and avoiding companies that send out “subliminals” with their programming. In order to provide individuals with a sense of Brand Trust, it will take everyday individuals to tell their own personal stories and successes. Sproglit is giving them an incentive to do so, while listening to ways to make their product better in future editions! A product full of colors, animals, drama, learning and rewards, it is sure to capture the attention of young children everywhere, many of which normally have difficulty learning in traditional forms of education. It allows them to really understand the methods and sciences behind arithmetic. Through testimonials, Sproglit may better demonstrate this to new potential users who may be skeptical. These children can speak about the experience themselves, with the adult involved in the process can speak about the actual progress of each child’s journey. Sproglit is holding submission for contest participants until January 15, 2014. “We are excited to engage teachers and parents. The sooner they show the Math Arrow and Kangaroo Kyle to their children, the sooner their kids will develop a better sense of numbers,” said Sproglit CEO Todd Buchholz. Invented by Todd Buchholz, former White House economic advisor, economist, author and winner of the Allyn Young Teaching Prize at Harvard University and in conjunction with his daughters Victoria, Katherine and Alexia, the Math Arrow is used in games by Sproglit in bringing about a positive understanding in the World of Mathematics to children everywhere. Math is one of our most difficult subjects to grasp totally in our lifetime and yet is one of the most important. Everything in life involves it. By providing the youth with a love for the subject, we are preparing them for exciting revolutions in how people think, react, and function in our Tomorrow! Women on the Edge: Using Social Media for the pursuit of passion in womanhood. In the past year, we have seen a viral uprising in how conferences and seminars are done. While we would like to attend actual physical conferences for networking possibilities and to “play with” new technologies, it isn’t always simple to do so with busy schedules, travel prices, and family situations that demand our attention elsewhere. Previously, businesses and companies held private webinars and meetings Online. But, now, it has become a more “mainstream” thing to do. More and more webinars, live events and web conferences are taking place on an International level. Some of these take place simultaneously with physical events at various locations around the World. Yesterday, October 14, 2013, was the first day of “Women on the Edge (of Greatness! ).” It is a virtual conference that is taking place in the second half of October. From October 14 until October 31, 2013, a series “inspirational and practical Online workshops, Keynotes and other sessions” will take place to encourage women to get started on “BIG goals like starting a business, running your first triathlon or writing a book.” The series physically takes place in Orlando, FL, but registration and attendance takes place Online. While these sessions will take place and stream live, attendees are welcome to watch them at their convenience through recorded video of these sessions. This means that WOE has the opportunity of going viral and helping women all over the World for years to come. The only thing holding it back at the moment is that registration is $129. The World will be unable to access these videos without being an attendee. After all, very valuable information will be given at these events. The event kicked off with speaker, Jody Urguhart, who presented “The Nerve to Serve, Say Hello to Humor & Goodbye to Burnout!” “Jody is passionate about spreading the message of the importance of fun at work. 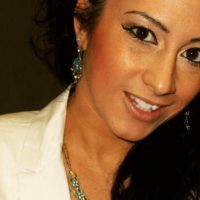 Jody is a motivational keynote speaker at over 50 organizations and associations every year, and is a top motivational keynote speaker,” states WOE in a recent press release. The conference is presented by Professional Edge, a company dedicated to providing clientele with the ability to operate business day-to-day with quality Marketing needs at their fingertips. It’s safe to say that Women of the Edge are in good hands with workshops and seminars dedicated to Networking, trial & error approaches to Business through Experimentation, Entrepreneurship and steps to creating a Startup, Social Media, pursuing of dreams, “Dos and Dont’s of Managing a Non Profit,” supporting other business women, Home-based Businesses, Inspiration and getting to know yourself. They also allow networking to take place through a chat session after each seminar! With the need to create new jobs in a lessening economy, this is the perfect approach to enabling women who do not know where to start with the ability to do so. Not only can they become familiar with who they are, what they want and their passions, but they can also learn to envision a reality and make it such. They will learn how to take that vision, turn it into a reality and then keep it functioning at a healthy level. Of course, this conference is a way to usher in new potential clients for Professional Edge. But, this might be something that Professional Edge may consider doing on a more regular basis. These tools and resources are very valuable to the woman in the marketplace. Because the speakers are mostly women, it is important to note that their approach comes from the experience of working in a male-dominated world and the nightmares that come from such. Knowing how to handle situations and barriers of entry is just what many young women need everywhere! Stupid Cancer. That’s what it is. We hate that it exists. An organization has created a name for itself based on this ideal. 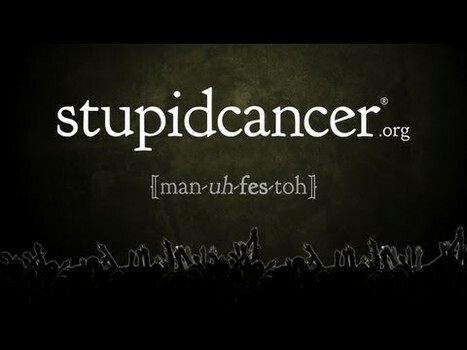 Stupid Cancer is a “dominant youth cancer non-profit in the US,” and they have recently created a product that will change the way we turn to others for support in the fight against cancer. Stupid Cancer has launched a crowdfunding campaign for a new mobile health app, “bringing one-on-one peer connection into the 21st century for 20 million Americans affected by young adult cancer.” This set-to-be awesome mobile app is calling itself Instapeer, and it’s free! When one has Cancer, it isn’t always easy to speak to people about it. Some patients have a hard time speaking to their family without feeling patronized and “doom and gloomed” about their situation. Others notice a sense of hostility or nonchalance from peers that have never experienced Cancer first hand. Sometimes just talking with someone who knows what you are going through, or even by venting, does a World of Difference for Cancer victims. With busy work schedules and class attendance, business hours aren’t always doable for outreach, especially when there is a ton of other “stuff” that needs to be attended to at this time. Some of this stuff may be Depression and Exhaustion due to their illness. Stupid Cancer has partnered with WeDidIt, a crowdfunding platform allowing nonprofits to raise funds for their cause, and continues to raise funds and generate interest in Instapeer’s release. It is expected that Instapeer will gain a minimum of 500,000 registered users by 2016. If you would like to be part of the cause, visit Instapeer.org today! Bailey is the president of a “pet-friendly” Social Network, called uraPET. It seems his human is doing all the work, however, while Bailey just sits back and browses the Internet, commenting on the status updates and photos of “all his dogs…” and salivating over high-end doggy bags from his favorite “kibble” brands. Well, not really, but Ken Braun, his human, had a vision and carried it through. In March of 2013, Ken and Bailey, the English Cream Golden Retriever, teamed up to bring us a venue to show off our pets to those that really care. It’s a place where we can upload hundreds of photos of our pets and “everyone knows his name!” This site is so pet-friendly that Bailey decided to throw a $100 Petco Giftcard Giveaway, in which all new members are automatically signed up to win! 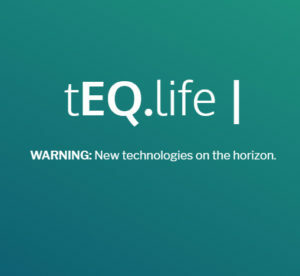 The site itself is super user-friendly by mimicking many of the features we are already used to on those boring human networks where everyone whines about their life, as opposed to the whimpering to go outside and smell the fresh air. We can “like photos, statuses, and even howl at the craziness of our “best friends” who we can invite through Facebook Integration. uraPET is all things “pet” and includes tips and tricks of caregiving, important information on health and nutrition, and even information about nearby shelters. At uraPET, you’re able to give your pet “a hand” by updating his status, uploading his glamour shots and showing off his undeniable “puglife!” This is a new Social Network where the pets do all the talking, while you transcribe their thoughts. After all, no one understands him like you do, right? 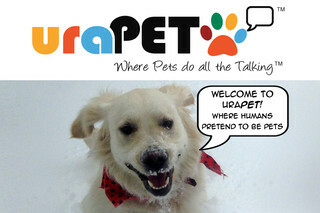 Go to uraPET today, put Facebook on “paws,” and sign up for a free profile to get started! …And, don’t worry, you won’t have to sniff any butts to greet your fellow four-legged friend!